When your children are young, it can seem like you are constantly hoarding mementos to remind you of their efforts and achievements when they’re older. Then when you get to them being older, you look back and wonder if you could have saved more or done things differently. It’s little wonder, then, that we don’t have much to look back on regarding their teenage years. It’s not so much a time of innocence anymore as it is exploration into the world; they are beginning to find their way in life, and there is little that can be done to document it. They won’t sit down with you and put their foot in paint to make a print, nor will they come home with cute stories from school … but take a step back and consider how you could capture these years which are just as precious as their first. Everybody either loves looking back at photos of them from a teen or totally cringes at it. They may be willing to have their photograph taken if you invest in a photographer to create some snaps of you and your family. If they are showing an interest in this art, perhaps consider getting them their own camera and seeing just how they view the world when they present the pictures to you. It might just be an eye-opener. There will be a lot of events that your children may go to over the course of their life. 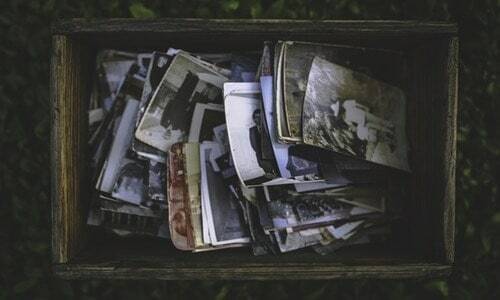 Although they may not be too bothered about keeping hold of train tickets, plane tickets or entry passes, keep ahold of them as a memory of what has built them up to where they are now. It could be a memento of a trip out with their first boyfriend or girlfriend, a gig of the band that they absolutely adored at the time or their first big stay away from home with their school. It may not be an animal made out of lollipop sticks, but teens are capable of making art, too – they just have many more ways of being able to show it. Gone are the days of having to stick their fingers into paint to create something magical for you. As mentioned before, they can take a photograph, draw a picture or even write a poem. You may even find it in the strangest of places; take a look at what they are writing to you in birthday or christmas cards, or what they’re doodling in the back of their exercise books for school. There is a lot more meaning to their words than you may originally think. You don’t have to take physical memories from everything that you do – as long as you give enough time to one another, the internal memories will last a lifetime. Try cooking together. You can impart any knowledge of the kitchen that you have while they learn a new life skill. What they make and continue to prepare for the rest of their lives will serve as one of the biggest mementos you can have.